From left: Diane St. John, patient speaker and BRI board member; Jane Buckner, MD, president, Benaroya Research Institute; Trish Markey, BRI Board and Grapes on the Green committee; Stacy Lill, Grapes on the Green committee member; and Jeanne Jachim, president, Virginia Mason Foundation. 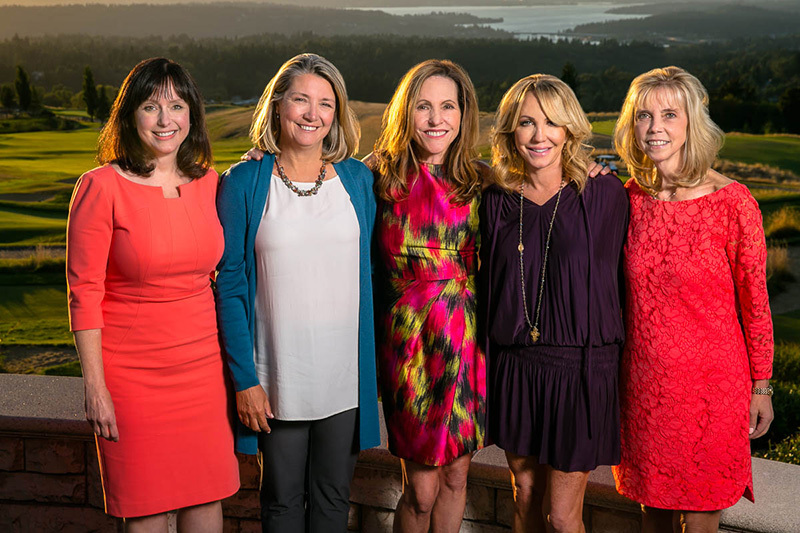 On Aug. 25, Grapes on the Green, a premier wine tasting and dinner event that kicks off the Boeing Classic tournament weekend, raised nearly $440,000 to benefit innovative medical research at Benaroya Research Institute. More than 300 guests heard Diane St. John, BRI board member, share her challenges living with celiac disease and the crucial need for research to fight this disease. 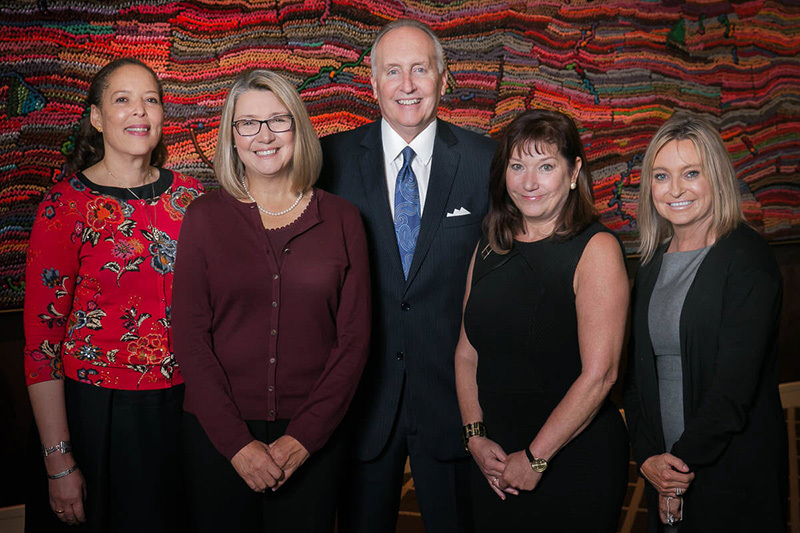 From left: Carla DewBerry, BRI board chair; Jane Buckner, MD, BRI president; Steve Raible, emcee; Catherine Zimmerman, BRI board member and Illuminations Luncheon chair; and Lori Carter, patient speaker. Nearly 400 guests gathered at the annual BRI Illuminations Luncheon Oct. 27 to learn more about advances in research for autoimmune diseases and allergies. They also donated a record $160,000 to support medical research at Benaroya Research Institute. The event was emceed by Steve Raible of KIRO 7 and featured BRI President Jane Buckner, MD, and several scientists discussing BRI’s latest groundbreaking research. Speaker Lori Carter shared her challenges of living with lupus.